We wanted to let you know that we met an old friend of yours. Bell sleeves, and the dramatic kind that Britney Spears wore in her early 2000’s albums. Didn’t think we would see them for a while, but old flames don’t go away too easily. Given that, it’s fortunate the bell sleeves of the past have changed since the late 1990’s and early 2000’s. Quite the spectacle, and not in a way that would appeal to today’s consumers, bell sleeves came in rambunctious red colors that would be too cheesy for our more simplified tastes. The fabric was loose and raggedy, and nevermind the layers of ruffles. However, bell sleeves have come back with a vengeance that designers for high fashion and retail have incorporated into modern day wear. They come in more solid colors with neat patterns. 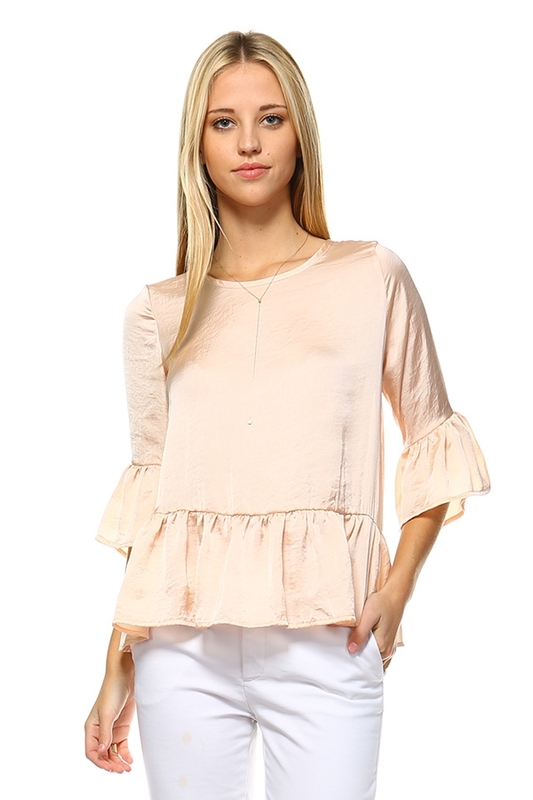 Rather than flap around, the sleeves are made of sturdier material that has the bell shape flare out more. The more solid structure and crisp cut lend the bell sleeve a refined look. More chic, less Shakespearian. They have meshed exceedingly well with women’s work style, worn under blazers, alongside leather handbags, and over pencil skirts. Bell sleeves starting at the elbow down exude majesty and elegance. More volume creates more presence and commands attention in the room. They add dramatic flair to an outfit, but if the sleeves seem a touch excessive for the more reserved customer, there are always toned down options. Modest bell sleeves sewn at the forearm or wrists lessen the flamboyance for a casual approach, so need to go full medieval for this one. In fact, they range from elbow lengths down to the mid-palm, providing various degrees of volume and drama. The trend is the most versatile one we’ve seen this spring. 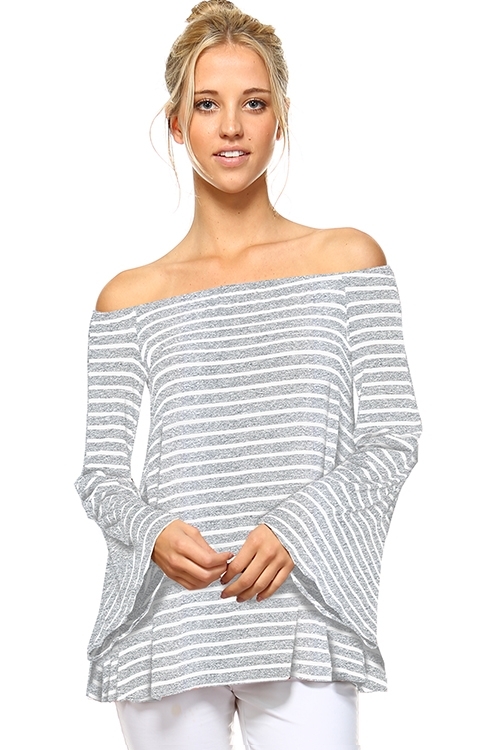 Sometimes they’re tacked on to the bottom of simple long sleeved tops rather than be the main feature. Other times they can spread out like wings, kimono-style. These dressy tops are so visually stunning that you don’t anything too elaborate to match. A simple pair of jeans goes perfectly well with them for a pulled together day look. Put on a choker for good measure, and Voila! A fabulous spring outfit with minimal fuss.